Beer Aficionados & Industry Insiders, such as Beer Advocate Founders, Jason & Todd Alstrom, Bob Sylvester, Brewmaster for Saint Somewhere Brewing and Bill McFee and the crew from Barrel of Monks Brewing chose us for their European Beercations. 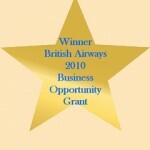 British Airways Opportunity Grant Winner– that’s right, one of the top airline companies in the world loved our beer tour business concept so much that they chose to support us in researching and improving our beer tours allowing us to bring you the best in handpicked destinations, accommodations and experiences. Winner of the 2017 World Food Trekking Award for Best Food/Beverage Tour Operations on Water by the World Food Travel Association our beercation cruises not only bring you the best in brewery visits and beer culture, but our dedication to providing top notch experiences, cuisine and of course beer, are what we are known for. Our Beer Trips are Run by Licensed, Certified, Accredited & Experienced Tourism Professionals – Sure, we know our beer, but what sets us apart from other beer tour companies is that we also know travel and tourism. Long before we decided to run beer tours we were planning and hosting group travel. We have guided groups for some of the top names in the tour industry, i.e. E.F. Smithsonian & Road Scholars. We are certified & licensed to run tours, registered to sell travel and have passed the requirements necessary to be insured by one of the top insurance companies in the industry. We are also IATAN Accredited Travel agents. Why is this important? We are not just some beer lovers who said “hey, come on vacation with us!” (Although many of our guests enjoy the fact that we do get to spend time with them!) We are professionals whose goal is to be able to provide you with the best beer tours out there- which means your safety and enjoyment are top priorities for us. Our Beer Tours are Very Inclusive – The price you pay for your beer tour covers just about everything-meals, brewery tours and tastings, guides & transportation during the tour, as well as accommodations. If there is something that is not included we let you know, i.e. we may leave one night open for you to try a local restaurant on your own or with new friends from the group. Our Beer Trips Offer One of a Kind Experiences– visiting Trappist Breweries like La Trappe or Westmalle is on the bucket list of many beer enthusiasts, experiences like getting to join in on a service with the monks of Westvleteren is what makes a once in a lifetime memory. Whether we are touring & tasting in an award winning brewery with the brewer him/herself or going behind the scenes to see how chocolate is made and then tasting how it interplays with the perfect craft beer on your taste buds, we’ll always go the extra mile to make sure your beer vacation goes way beyond the ordinary. Let’s face it, you want to get the most out of your beer trip, and our goal is to provide the best beer tour out there. Our years in the industry have allowed us to make connections in all the right places and with all the right people to make this one beer tour that you’ll be talking about for years to come! Gourmet Meals are a Highlight on our Beer Tours… we are foodies as well as beer lovers, like many of you, so we’re sure you’ll find the food on our beer tours tends to be one of the many unexpected highlights of your trip. On our barge tours we have our own private chef on board and our guests usually tell us it’s love at first bite! On land, we research the best restaurants in the area and work with the chefs to create incredible beer paired menus especially for guests on our beer trips. Satisfied Guest= Repeat Guests- Our guests tell us we run the best beer trips out there, and we guess they must really feel this way since we have had repeat passengers on every single trip we’ve run since the first. Our repeat business continues to grow over time. This is the best compliment our guests can give us! Our Small Group Size Allows Us Better Access to Breweries & Elsewhere … Our policy of smaller group size allows us to get the inside scoop just about anywhere we visit, even in a small brewery where other groups could not get around. It allows a more personal experience, giving our guests ample chance to chat with the host for each event, whether it is a brewer, local guide or artisanal cheese maker; our small group size makes your visit as up front and personal as you’d like. It’s Personal– Since we personally do all the research and development for our beer trips and tours, we not only taste beers and check out food and beer pairings; we travel to meet our barge captains, visit our hotels, test out our tour guides and have the pleasure of getting to know many of the brewers and owners of the pubs we visit personally. For us, this is the best part of what we do- the people. To walk into a pub on the other side of the ocean and feel as at home as if you are in your local haunt is a privilege. And to share this with our new friends (our first-timer guests) and old friends (repeat guests) well, it pretty much doesn’t get any better than that. 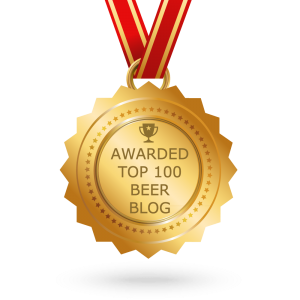 Beer School Instructors–We not only Talk Beer, We Teach Beer! Two things we love talking about are beer and travel. So in between our tours, you can often find us running public beer tasting classes for companies such as World of Beer, talking about traveling to Belgium at a tasting of Belgian Beers at Total Wine, speaking to private groups like the Alliance Francophone of the Palm Beaches about topics such as the Beers of Belgium or hosting a beer tasting fundraiser for charities such as the American Cancer Society. One Stop Travel Planning- In addition to being beer tour operators, we also are IATAN Accredited Travel agents and can help you plan your trip from beginning to end including flights, pre and post hotel stays and more. Once on tour with us, you’ll find we provide everything you’ll need to make the most of your beer trip from detailed pub crawl maps to instructions on how to best pack your souvenirs(beer) for the journey home! Just ask- we’re happy to help. No Worries About Drinking and Driving- With our overnight packages there is never a need to find a designated driver. Of course we gave you more than a bakers dozen! We like to offer additional value!